For Car Repairs, Servicing and MOT Preparation covering all the North Yorkshire area including Harrogate, Thirsk and Ripon - choose LG Autos. LG Autos are a family business based in Ripon, North Yorkshire. 01765 601790 or 07730 536692. Whether you are a business needing a fleet of vehicles regularly serviced or an individual needing your car repaired, your car servicing or your car preparing for MOT we can help you. 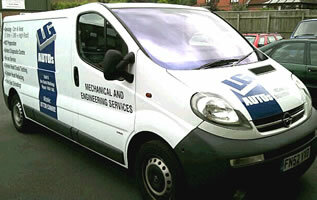 So whatever your vehicle or fleet needs we can help you. If you want to try us out, why not give us a call now on 01765 601790 or 07730 536692 or come and visit us at our garages in Ripon at LG Autos, Unit 6, Ure Bank Maltings, Ripon, HG4 1AE, North Yorkshire.